Using various icon extractor programs, you can manually search for icons by opening individual files. But that's hard work. This program is designed specifically to extract the icons (ICO, ICL, EXE, DLL, BMP) from any file containing them. It will search entire hard drives and display all the icons. Then you can either copy a particularicon to the clipboard or save it as an single icon (ico) or bitmap (bmp) file. A secondary function is to manipulate the desktop wallpaper. 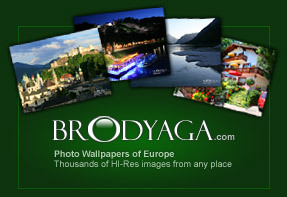 You can use any found icon or bmp-file as wallpaper. Only one click and you can see the result on the screen. You can set the wallpaper as centered or tiled. As the wallpaper's setting is made in one touch, this function reminds mosaic game. 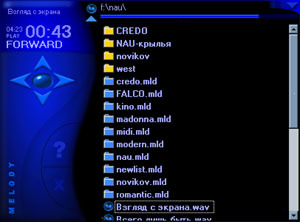 Melody is a simple audio player. 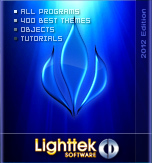 The program supports WAV, MP3, MIDI, MOD, IT, XM, S3, ME, MPP, MDZ formats and audio CD disks. One left click opens a disk or folder, and starts playing. Clicking the right button in any place takes you up one level in the folder tree. Alteros Viewer is a light version of Alteros3D without 3D viewing and Mediaplayer functions. 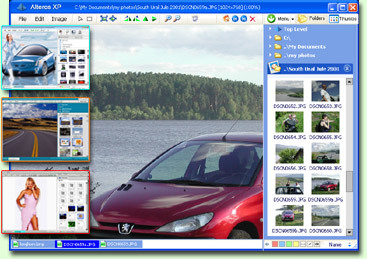 It is 2D graphic viewer with customizable interface. The program allows viewing any 2D graphical files (PSD, TIFF, PNG, JPEG, BMP, GIF and many others). Build in text editor allows viewing and editing TXT and RTF files. Program interface can be easily set up with the help of the skins. Besides, Alteros Viewer supports desktop files format- ADESK. Using ADESK files you can create graphical interfaces with the program start up commands, files and directories display. ADESK files can be used as Alteros Viewer start up interface, as well as user's CDROM interface, if Alteros Viewer is used as Autorun shell for CD. Alteros Viewer allows you to open any number of documents simultaneously. 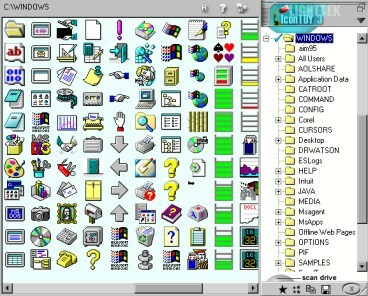 Convenient file manager is used in order to switch between the documents designed in Windows Taskbar style.